When we discuss the history of music scholars group the development of music over time into ERAS or PERIODS. These periods start around 600AD since that is are far back as we have any knowledge about what was happening in music. They progress through time right up to modern day. Similar music was clumped together in these ERAS. Each period or era had it’s own styles of music that were popular. Basically BIG changes in music meant a new era started. 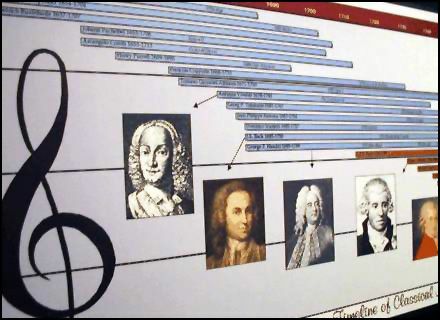 MUSIC HISTORY 102 – A brief look at how music progressed during each era.